ca. 490 - 480 B.C. 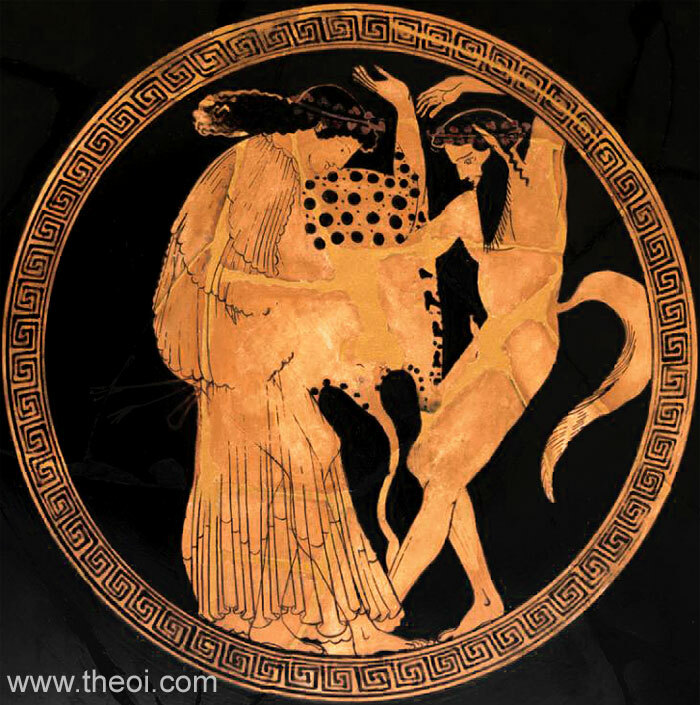 A Maenad dances with a Satyr. The Satyr has the ears and tail of a horse, and an erect member. The Maenad wears a leopard-skin cloak and is crowned with a wreath of ivy.